The progressive wing of the Florida Democratic Party is pushing liberal Rep. Alan Grayson (D-FL) instead of Rep. Patrick Murphy (D-FL) as a potential candidate to replace Sen. Marco Rubio (R-FL) in the Senate. In a conference call Monday morning, a group of leaders and supporters of the “Democratic Progressive Caucus of Florida” (DPCF) laid out why they could not support Murphy, harshly criticizing his voting record and public statements. Speakers on the call also repeatedly mentioned Sen. Elizabeth Warren (D-MA) in highly favorable terms, but never once mentioned former Secretary of State Hillary Clinton. Susan Smith, DPCF President, introduced the call by saying the group aims “to maintain but also strengthen the relationship between the progressive community and the Democratic Party.” The progressive movement, she says, is where the “energy” in the Democratic Party is. It’s also the “grassroots muscle” who did the “lion’s share” of volunteer work for campaigns, knocking on doors and making calls. As Breitbart News reported, Murphy, who was first elected to Congress in 2012, was a registered Republican as recently as January 2011, and has voted with the GOP on several key issues. Nancy Jacobson, another DPCF officer, spoke next. She specifically criticized Murphy’s positions on Social Security and Medicare, topics she described as “core principles” for Democrats. “Patrick Murphy’s stances on Social Security worry me,” said Jacobson, noting that he “often sounds more like Paul Ryan than Elizabeth Warren,” mentioning the budget authored by Rep. Paul Ryan (R-WI) which would have instituted changes to Social Security and Medicare funding. “It seems to me Patrick Murphy has gone out of his way to make it clear that he is not a progressive Democrat,” said Ciarocchi, but they did not have to accept the “Wall Street Democrats plan to install him” as their Senate nominee. According to Ciarocchi, Murphy has sided with Republicans on “key votes” twice as often as with Democrats. He specifically mentioned Murphy’s votes in favor of the Keystone XL pipeline and weakening some of the provisions of the Dodd-Frank financial regulations. Frank Day from the Walton County Democrats challenged the idea that Murphy would be the Democrats’ strongest candidate because he could raise money, again attacking the “Wall Street Democrats” who supported such statements. “Florida progressives have been urged to ‘think logically’…that Patrick Murphy is as good as we are going to get…our best chance of electing a Senator with a ‘D’ after his name,” said Day. However, continued Day, Florida voters who are looking for a conservative will no doubt prefer the actual Republican. “I remember when Florida Democrats were told we had to rally around Crist because we were told he was the only viable candidate that could raise enough money to win.” Charlie Crist had served as Governor of Florida as a Republican, before switching his registration to Independent during the 2010 Senate race that he lost to Rubio, then switching again to Democrat before failing to unseat Gov. Rick Scott (R-FL) in 2014. Adam Smith of the Tampa Bay Times asked about what would happen if Grayson did not enter the race. Smith said that what they wanted was a strong primary. She added that they had pushed for this in the 2014 governor’s race, but forces had worked against them, and Crist was able to clear the field without having a real challenge. This time around, the DPCF is adamant that it wants a true primary and the issues fully vetted and discussed. According to our members and supporters, Alan Grayson of Florida’s 9th Congressional District is the clear choice to run for U.S. Senate in 2016. Grayson received more than 63% of the vote. Other candidates with a significant level of support in our recent informal survey were State Senator Dwight Bullard, Congresswoman Kathy Castor and Congressman Ted Deutch. As the most effective member of the House of Representatives, passing more amendments that any of his 434 peers, Alan Grayson is a populist who knows how to get things done. That’s effective leadership Florida Progressives want to see in the U.S. Senate. This vote clearly demonstrates that progressive Floridians are looking for a bold champion who will inspire and engage voters. We can’t afford to lose more seats to Republicans by running former Republicans, or Democrats who otherwise can’t be distinguished from Republicans. Leadership matters, especially at a time when issues like climate change and incoming inequality are pressing down on Florida voters. The stakes are higher than ever, which means we don’t have the luxury of putting up candidates who don’t know how to fight for their constituents. 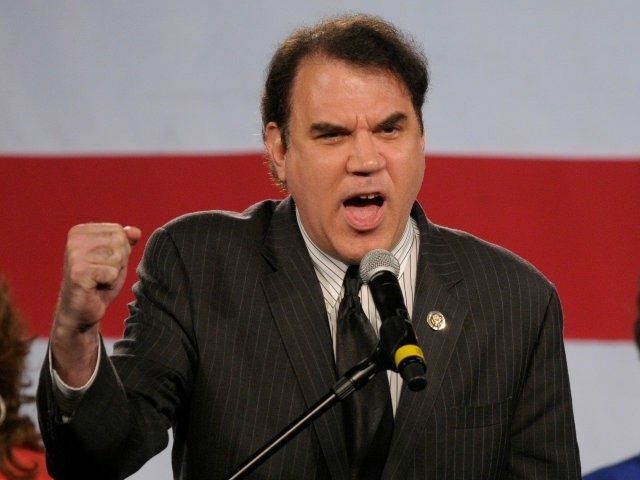 Alan Grayson is known as a Congressman with Guts for a reason. He has the leadership the DPCF knows can win this Senate seat. Rubio, as Breitbart News reported, will not be running for reelection to the Senate, but instead will kick off his presidential campaign on April 13 in Miami. CFO Jeff Atwater, Lieutenant Governor Carlos López-Cantera are among the list of Republicans rumored to be looking at running for the seat. Atwater is planning to launch his campaign a few days after Rubio’s announcement; López-Cantera’s plans are not known at this time.